As a busy mom who works full-time from home and also homeschools four boys, it can be stressful to try and plan a week's worth of meals that the whole family can enjoy. That is why I am teaming up with PastaFits.org, a nutrition and culinary education resource sponsored by the National Pasta Association. As a National Pasta Association Ambassador, I will be sharing delicious and healthy meals for your family all made with pasta. The five recipes below are all on the Pasta Fits website, and can help make your weeknight dinners fast and delicious! The National Pasta Association has created PastaFits.org, a resource where you can go to find nutritional information on pasta, cooking resources, recipes and more. 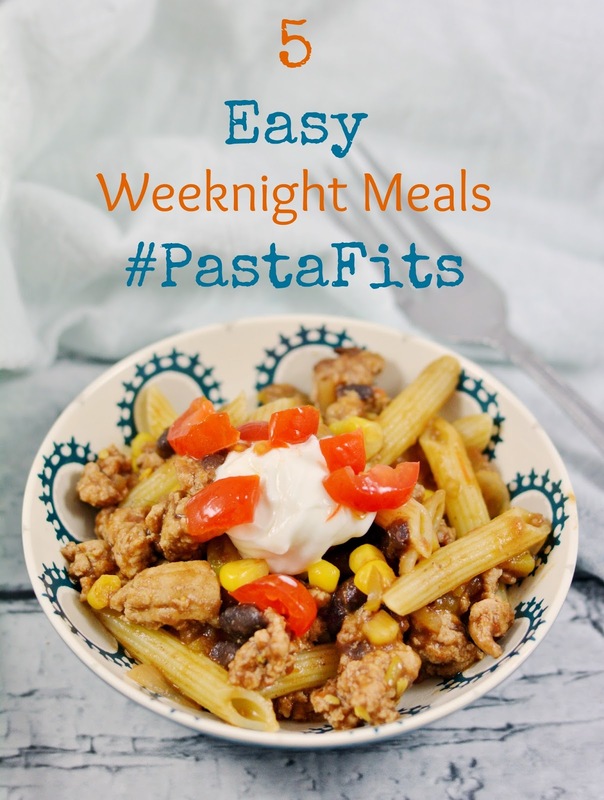 We use a fair amount of pasta in our weeknight meals because it is a really budget friendly option. When I use pasta, I have to use less meat. Whereas, if I make meat the main course by itself, I have to buy two pounds or more for each meal. When paired with plenty of fiber-filled vegetables, lean meats, healthy oils and beans, pasta can make delicious, healthy and versatile meals to fit any family's needs. I love making Asian dishes, and so many of them can be made using noodles. I have also enjoyed learning some new ways to use pasta, like in the pudding and stuffed pepper recipes on the Pasta Fits site. In addition, I learned that the complex carbs in pasta help provide the optimum fuel for your muscles and brain. The boys learned a long time ago from Chinese restaurants that they like rice noodles, they are also big fans of fish, so this meal is one we can't wait to try! 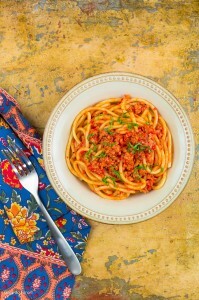 This is so much like a traditional spaghetti and meat sauce, that I think the boys would welcome it with open mouths. 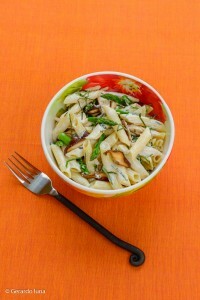 It is a great way to get them to try new pastas without scaring them away. 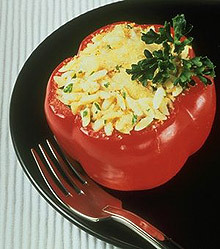 We have never tried Orzo before, but we love stuffed peppers. 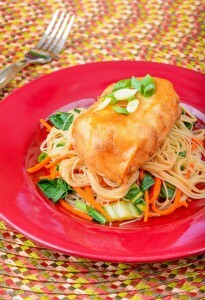 I am always looking for interesting ways to dress up our favorite meals, so this would be a great weeknight option. This meal has been a crowd-pleaser for a long time. We have not tried this particular recipe before, but I know that it is one the whole family would like. I made this meal for the boys for dinner and the loved it. The ground turkey made it have less fat, and there were plenty of vegetables added in, but they didn't even realize. I added some fresh sour cream and chopped tomatoes to the top of our version, and it went over like a slam dunk. Add meat and cumin to the skillet. Once meat is browned, add corn, black beans and salsa to the pot. You can find this full recipe, plus the others listed in this post on PastaFits.org. Also check out the Pasta Fits Facebook page for more news and the latest promotions, and look for more new pasta recipe posts coming soon! One thing I love about pasta is how easy it is to customize to your preferences. Everyone is happy on pasta night. And no fighting makes Mama happy! These all sound so good! I love having pasta on hand for a quick dinner. I just add whatever sauce, veggies or meat we have available. It would have gone over the same way with me. It has everything yummy in it. Pretty much I'm happy any time pasta is involved. I would like to try the Orzo in baked peppers. That looks amazing. Pasta night is always easy around here. I love the idea of that Chicken Penne! MAN I miss pasta LOL I eat spaghetti squash now - but it's JUST not the same LOL That last dish looks AMAZING. I'm eating a more paleo lifestyle lately and those pics are KILLING me! I'll have to make some of these for my kids so I can at least enjoy the smell! I didn't realize that ronzoni had a rice pasta. That dish looks especially good to me. We are totally a pasta family. That looks really tasty. I'll have to try this recipe. All of these look fantastic, I bet the house smelt amazing! I'll have to give some of these a try! That pasta looks soooo good. All I need is some naan and I'd be good to go. Thanks for the recipe. Sounds amazing. We love to eat Pasta dishes. Wow some amazing dishes here, I have to try the Bucatini with Pork and Red Pepper Ragu. I would love to add some broccoli to this dish.